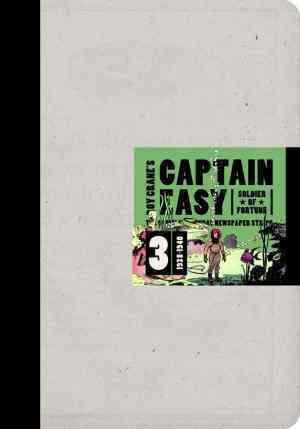 ANDY’S PICK :: CAPTAIN EASY HC VOL 03 SOLDIER OF FORTUNE: This is the third of a projected 4 Volume Set that collects all the Classic Captain Easy. Sunday pages from the 30s and 40s; written and drawn by Roy Crane–one of the true masters and innovators of the comic form. Few artists had the artistic and storytelling chops to take maximum advantage of the full size Sunday comic page and even fewer artists could successfully combine realistic backgrounds with big foot cartoony figures to make some of the most exciting adventure comics of all time. The stories leap off every page, the chases last for weeks on end, the punches lift the fighters right off the floor, and the reader never wants the action to end and it never does because every week is a cliff hanger. Sure, there are a lot of classic reprints available, but the Captain Easy Sundays is in the small handful of required reading. No collection of Comic Art (with a capital ‘A’) is complete without it. DOUG’S PICK :: Mind MGMT #4: is not your typical comic book- it’s so good even the paper stock is amazing. Shadowy groups, ambiguous allies and even a flight 815 draw many comparisons to TV’s Lost. This sci-fi mystery is moving at breakneck speed with each issue demanding multiple readings. The main story is of a writer who is investigating a flight where everyone, save one, lost their memories. Writer /artist Matt Kindt uses everything available to immerse you in the story, including the inside covers and margins which give background to the title organization. HEATHER’S PICK :: JUSTICE LEAGUE DARK #12: I was super disappointed when Zatanna’s solo book was absorbed by the New 52 and only grudgingly picked up JL Dark. I didn’t want a team book, I wanted a female centered superhero book. Color me surprised when I enjoyed this new team-up and was happy to be introduced to new-to-me characters. I’ve particularly enjoyed Jeff Lemire’s turn at the storytelling helm as he tackles the House of Mystery and the Books of Magic. If you enjoy your superheroes with a supernatural twist, don’t miss this one. RICO’S PICK :: LOBSTER JOHNSON: PRAYER OF NEFERU ONE SHOT: Wilfredo Torres provides art on this self contained Lobster Johnson story. 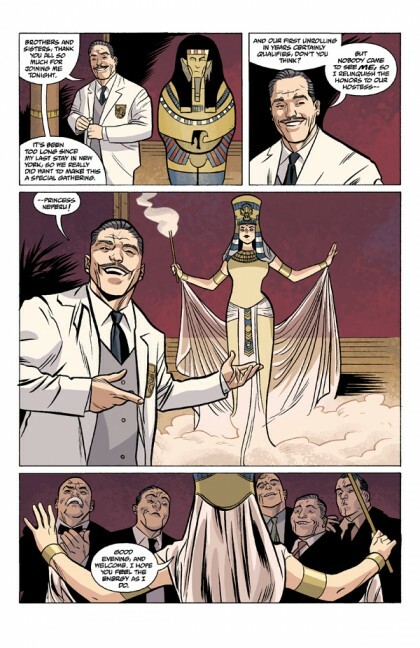 Torres’ talents are well displayed depicting Egyptian motifs, bloated fat cats, and the brilliantly designed neo-pulp protagonist, Lobster Johnson. Arcudi and Mignola always deliver a great ride and Dave Stewart drenches the entire Mignolaverse in pitch-perfect color. SETH’S PICK :: ROCKETEER: CARGO OF DOOM #1: The best Rocketeer stories will always be ones by his creator, Dave Stevens. I am, however, really pleased with not only both volumes of Rocketeer Adventures, but also this new four issue mini series from IDW. Mark Waid is tasked with the writing duties, and he’s made a career out writing characters with a clear and respectful understanding of their place in comics history. On Thor: The Mighty Avenger and Captain America and Bucky, artist Chris Samnee showed he could tackle innocent adventure stories and period pieces. More than anything, IDW’s new Rocketeer stories remind us that even if we’ll never be able to see any new art from the late, great Dave Stevens, we can continue to celebrate his legacy with books like this. BRENT’S PICK :: UNWRITTEN #40: Unwritten has been my favorite series on the racks since it debuted. Easy to pigeonhole as a “Harry Potter” spoof, this thoughtful book left that (admittedly great) jumping off point 30 issues ago. Carey and Gross are crafting a compelling and thoughtful work examining concepts of reality, fiction, history, zeitgeist, and belief. This issue concludes an arc that has seen much of the status quo change for our protagonists. 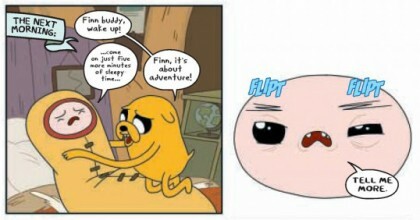 Anything could happen next….! ANDY’S PICK :: CAPTAIN EASY HC VOL 03 SOLDIER OF FORTUNE: This is the third of a projected 4 Volume Set that collects all the Classic Captain Easy Sunday pages from the 30s and 40s; written and drawn by Roy Crane–one of the true masters and innovators of the comic form. Few artists had the artistic and storytelling chops to take maximum advantage of the full size Sunday comic page and even fewer artists could successfully combine realistic backgrounds with big foot cartoony figures to make some of the most exciting adventure comics of all time. The stories leap off every page, the chases last for weeks on end, the punches lift the fighters right off the floor, and the reader never wants the action to end and it never does because every week is a cliff hanger. Sure, there are a lot of classic reprints available, but the Captain Easy Sundays is in the small handful of required reading. No collection of Comic Art (with a capital ‘A’) is complete without it.